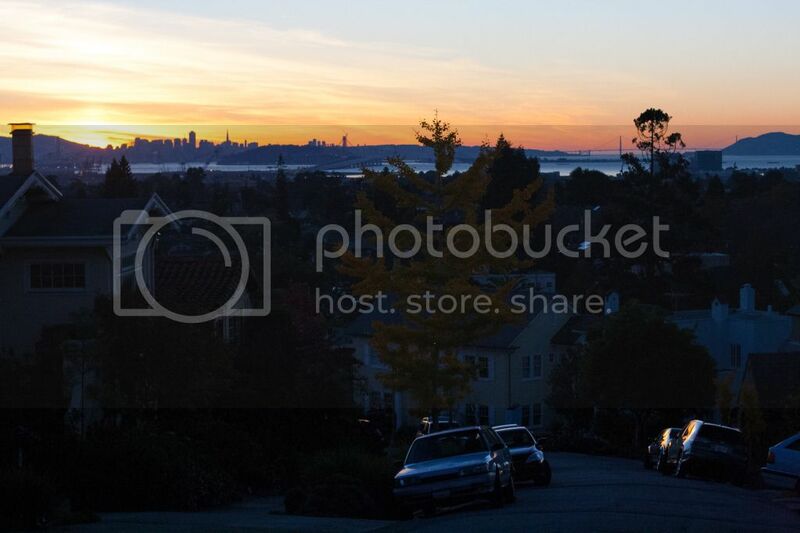 Last night I rode my new bike to upper Rockridge and caught a pretty spectacular sunset. It felt so peaceful and serene. The weather in Northern California has been perfect the last few days. Jeffery and I spent most of today walking and biking around the area running errands and then catching up on housework. For dinner we ate the rest of the Thanksgiving leftovers. Even though we cooked two turkeys to ensure there would be plenty to take home, it never lasts long enough. And neither does time off. I spent the majority of the past couple days procrastinating writing the rest of our wedding thank you notes. But I am running out of time. Our anniversary is right around the corner. How did that happen? Photos from our trip to Sonoma coming soon.